WordPress themes as we know them do not allow us to build and edit our page headers. 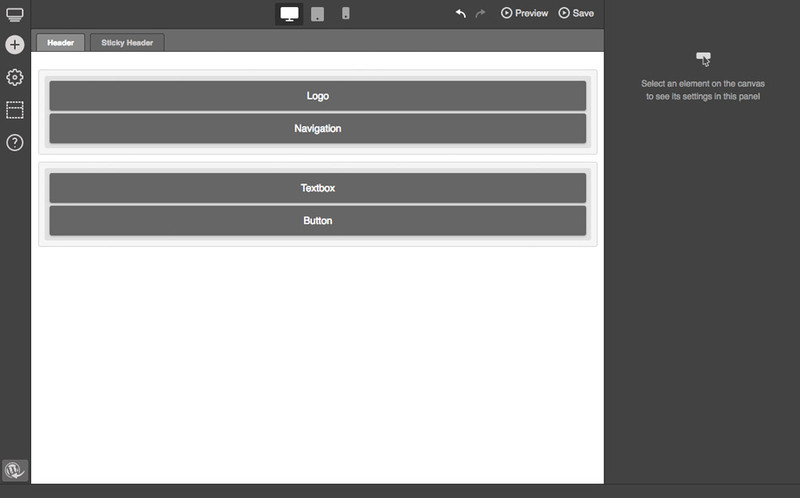 It’s usually preset header styles that we can choose from and tweak a little. Jupiter V6 is the first WP theme to allow you to create your headers just like you create your layout using a Drag & Drop editor. Your power creating and controlling your page design is unlimited now! ‘Header Styles’ Era has come to an end! There was a time WordPress themes were bragging about the number of header styles they had to offer. Well not anymore! The only limit to the look of your header is your imagination! Don’t choose, Go ahead and build! If you are still up for preset templates, you can choose from dozens of pre-made header templates to get started and customize them as much as you’d like to match your brand, website and color palette! Creating a header from scratch couldn’t be easier! Just use a simple drag and drop tool to insert and reposition elements however you’d like! Jupiter’s advanced responsive Header Builder now allows you to create completely customized headers for desktops, tablets and mobile phones! Build up your Sticky Headers with a complete range of design options and features all at your fingertips! With Jupiter, your customizing capabilities are endless! Nothing in Jupiter is limited. We let you create as many headers as you’d like, use whichever ones you want and even save others for later web page redesigns. You now have the choice to create different headers for some pages of your website while keeping one of your headers as global or default setting. Made a mistake? Don’t sweat it. You can always go back and undo up to 30 of the last changes you made! Using Header Builder’s preview window, you can now customise elements and designs while seeing the result at the same time. Now, what you see is what you’ll get! Jupiter is the last WordPress Theme you’ll ever use.